Bikash Mohapatra digs out athletes who have given their nation a solitary golden moment at the Olympics. Every country, every athlete embarks on his or her Olympic quest with just one goal, to win the gold medal. While athletes from countries like the United States, Russia, China, Germany and Australia ensure the gold medal count of their respective countries show an upward trend with each passing Games, there are a handful of countries who have managed to bag the yellow metal just once in their history. Rediff.com presents the list of athletes who have ensured their respective nations their sole golden moment at the Olympics. We begin with an Indian connect. It was Sheikh Ahmad Al Maktoum consigned India's Rajyavardhan Singh Rathore to the silver at the Athens Games in 2004. 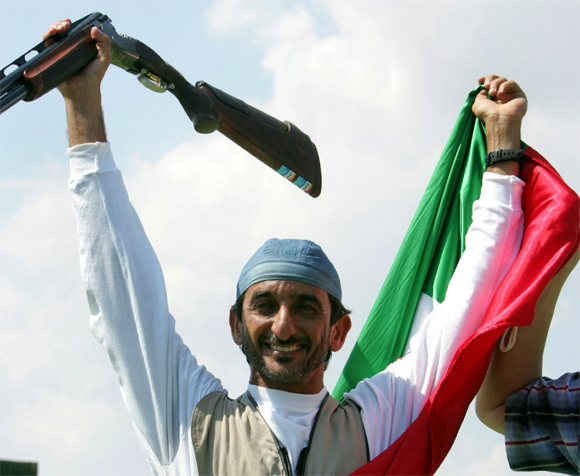 His gold in the double trap event was first ever Olympic medal for United Arab Emirates. The triumph was special, considering he gave up squash – a sport in which he was the national champion – to take up shooting. He's the reigning Olympic long jump champion. At the Beijing Games four summers back Irving Saladino beat Khotso Mokoena of South Africa and Ibrahim Camejo of Cuba to the top of the podium with a jump measuring 8.34 meters. His medal was his country's first Olympic medal since 1948, and only their third in a dozen attempts since 1928. More importantly, it was Panama's first ever gold medal at the quadrennial event. Gal Fridman is the lone athlete from Israel to win two Olympic medals. More importantly, he is Israel's only gold medalist at the Games. 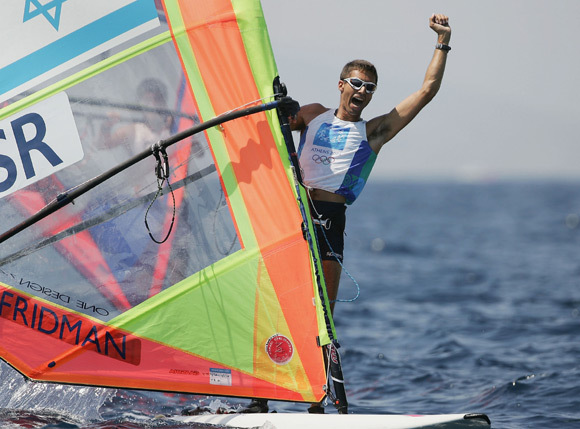 Fridman won a bronze in men's windsurfing at the Atlanta Games in 1996. Eight years later in Athens, he went the distance, winning the same event. Colombia's medal count at the Olympics is not much to boast about. The South American country has managed a tally of just 11 medals thus far. However, they had to wait a long time for their first (and so far only) gold. It came at the Sydney Games of 2000, courtesy Maria Isabel Urrutia. The former discus thrower switched to weight lifting and achieved glory for her and her country. 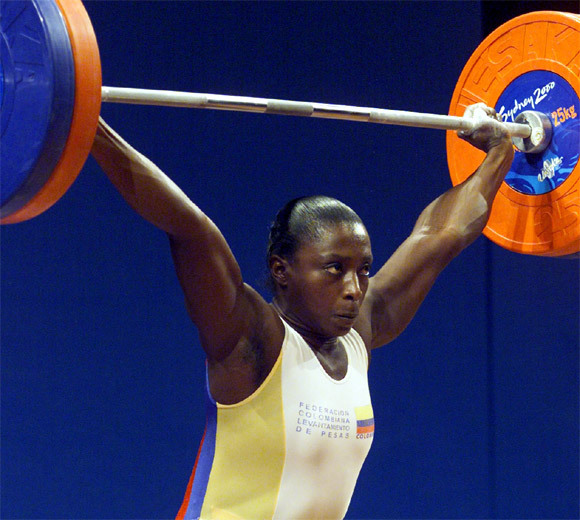 In the 75 kg category Urrutia beat Nigeria's Ruth Ogbeifo to win Colombia's first ever Olympic gold. Having been part of the erstwhile Soviet Union and the Unified Team – at the Barcelona Games in 1992 – Armenia first participated as an independent nation in Atlanta. 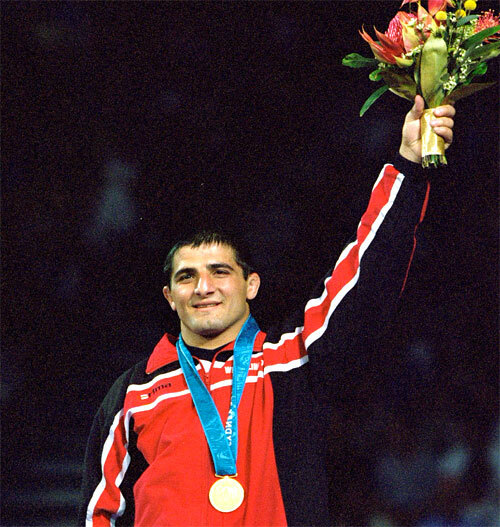 The country has thus far won a total of nine medals at the Games, with the lone gold coming in wrestling. Armen Nazarian won the flyweight category (52 kg) in Atlanta ahead of American Brandon Paulson. Four years later in Sydney Nazarian, having switched nationality, competed for Bulgaria in the 58 kg category. He won a gold in that as well. 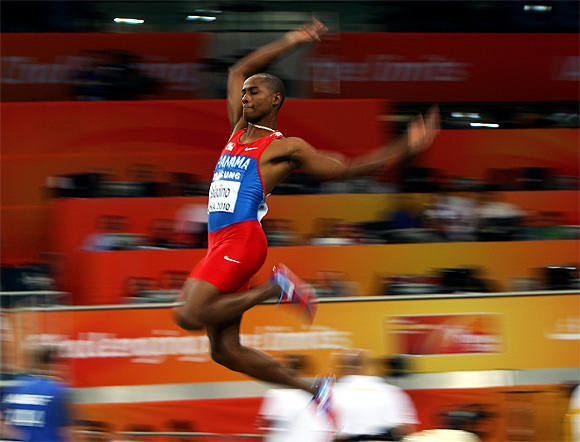 The tiny Central American nation of Costa Rican has so far won a total of four medals. Coincidentally, all the medals have been won by two sisters. While Silvia Poll won Costa Rica its first medal – silver in the 200 meters freestyle event at the Seoul Olympics, it was the younger sister Claudia Poll who went a step further. 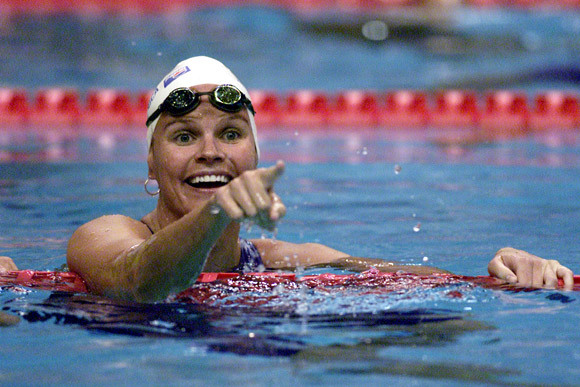 In the women's 200 meters freestyle event at Atlanta Games in 1996, Claudia bested favourites Franziska Van Almsick and Dagmer Hase of Germany to win a first ever gold for her country. Four years later she won a bronze in the 400 m freestyle, her third Olympic medal having also won silver in Seoul. Ecuador has thus far competed in Olympics a dozen times, winning two medals for its efforts. Both of the South American country's medals are courtesy one athlete, Jefferson Perez. 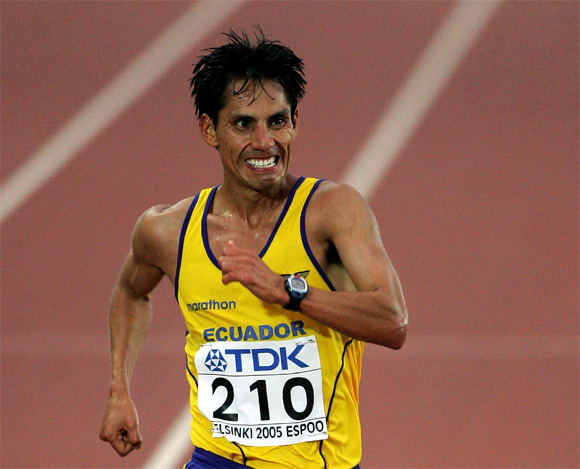 The Cuenca native won the gold medal, Ecuador's first and only, in the men's 20 km walk at the Atlanta Games in 1996 ahead of Russia's Ilya Markov. He could finish only fourth in the events in both Sydney and Athens. However, at the Beijing Games four years back, Perez did pick up a silver, losing out to another Russian Valeriy Borchin. 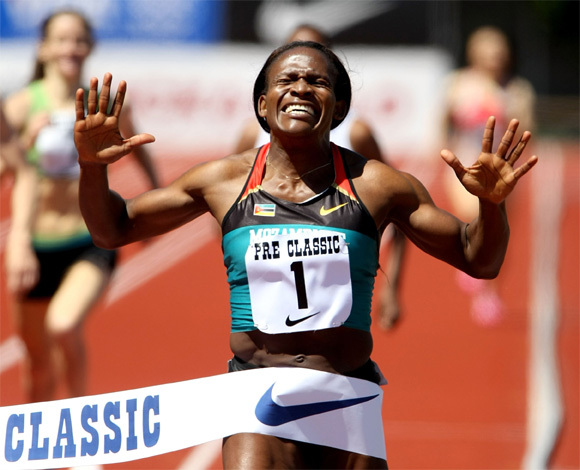 She is without doubt Mozambique's biggest name when it comes to sport. At the Atlanta Games in 1996, Maria Mutola could only manage a bronze in the women's 800 meters, finishing well behind Russian Svetlana Masterkova and Cuban Ana Quirot. However, four years later in Sydney she more than made up for the disappointment, outpacing her major rivals – Austrian Stephanie Graf and Briton Kelly Holmes – to win the gold. It was Mozambique's first, and thus far only, gold. 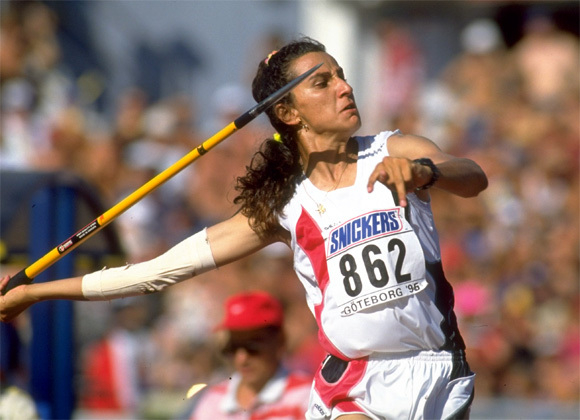 A win in heptathlon at the IAAF World Championships in Gothenburg in 1995 made her a favourite ahead of the Atlanta Games a year later. The withdrawal of German Sabine Braun, another favourite, indicated that fortune favoured her. And Ghada Shouaa didn't disappoint, winning the heptathlon gold with a comfortable margin, her total of 6780 points was well ahead of her closest competitors, Natalya Sazanovich of Belarus (6563 points) and Denise Lewis of Britain (6, 489 points). It was Syria's first and so far only Olympic gold medal. 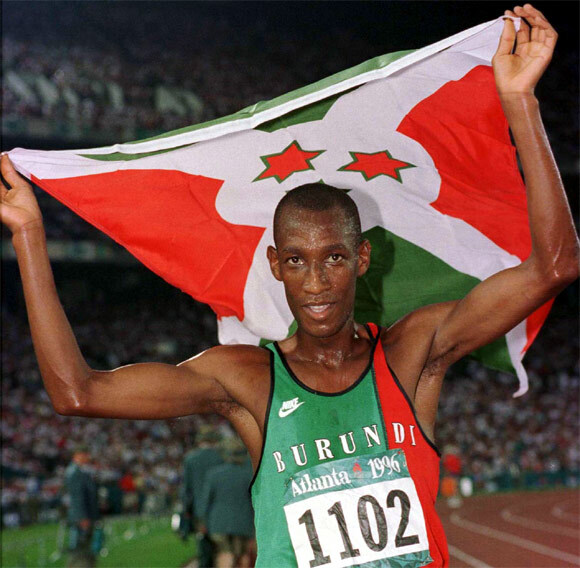 Coming into the 5000 meters race at the Atlanta Olympics, Venuste Niyongabo had competed only twice before in that event. German Dieter Baumann, a gold medalist in Barcelona four years earlier, was the favourite to retain his crown. The Kenyans were supposed to provide the major challenge. As it turned out, Baumann could only finish fourth, the Kenyans couldn't take advantage of the same and Niyongabo had won the gold medal, becoming the first, and so far only, athlete from Burundi to win an Olympic gold. Suriname, the tiny South American nation, has won only two medals ever at the Summer Olympics. Not surprisingly, both have been won by the same athlete, rather a swimmer. 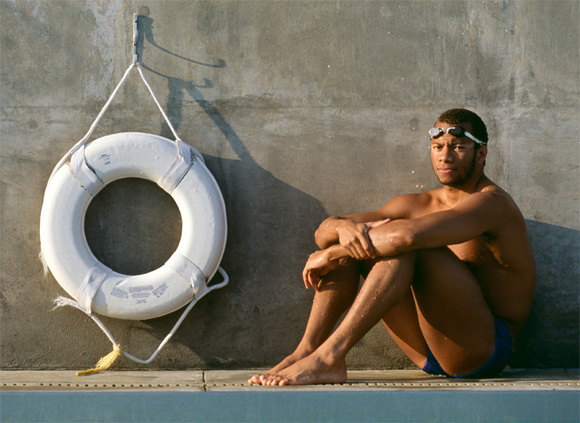 Anthony Nesty caused a major upset in the 100 meters butterfly final at the 1988 Games in Seoul, when he pipped American Matt Biondi to the gold. Having finished well behind Biondi in the preliminary heat, Nesty swam the final in a record time (53.00) to take home the gold. Four years later in Barcelona, Nesty could only manage a bronze in the same discipline, finishing third behind American Pablo Morales and Pole Rafal Szukala. John Akii-Bua won the gold in the 400 meters hurdles at the Munich Games in 1972, beating American Ralph Mann and Briton Dave Hemery en route. 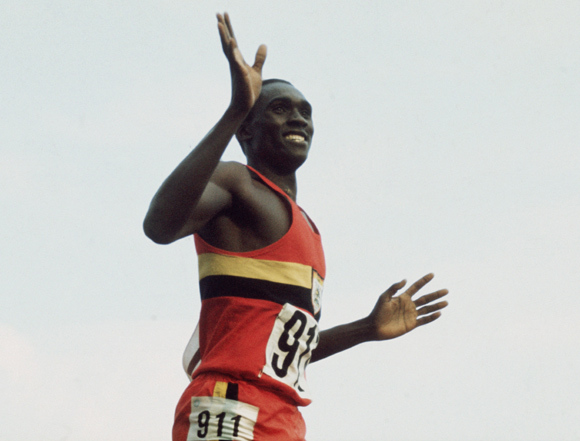 It was Uganda's first ever (and so far only) at the Olympics, having first participated in 1956. Besides, the names mentioned Hasely Crawford (Trinidad and Tobago), Josy Barthel (Luxembourg), Edwin Vasquez (Peru), Francisco Rodriguez and Lee Lai Shan (Hong Kong) have won their country's lone gold medals in 100 meters, 1, 500 meters, free pistol, light flyweight boxing and sailing respectively. They won Olympic medals for India... well, almost!